Building upon their highly successful DVR range, The Snooper DVR-WF1, is the ideal, cost effect way to protect you. Used as evidence against false insurance claims. In recent years, the UK has seen a dramatic increase in ‘crash for cash’ scams and false insurance claims. These scams and false claims have been estimated to cost insurers £392 million per year and sent insurance premiums rocketing for every driver (an average increase for UK policy holders of £44). Recent reports from insurance companies like AXA have shown that insurance claims are settled quicker when a driver has video evidence of the incident from a Dash Cam or onboard camcorder. By quickly identifying the culprit for the incident, insurance companies can settle claims quicker in your favour without the long winded process of identifying who was to blame. Vehicles, particularly business vehicles, are now increasingly targeted by fraudsters costing insurers and businesses over half a billion pounds a year. A spokesman for the insurance industry said, “crash for cash” is becoming a booming business, all the fraudsters need is a car and a little know how and they’re ready to go”. 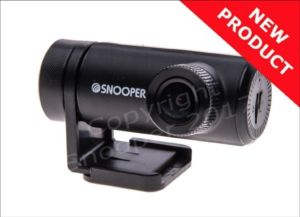 We certainly recommend that motorists take steps to mitigate any fraud by using a DVR device”. Fight back with the exceptional Snooper DVR-WF1. On-board cameras, have claimed to reduce driver’s motor insurance claims by between 30-50%, simply by proving the incident wasn’t your fault. So protect your No Claims Discount by providing video evidence that the incident wasn’t your fault. With a DVR aboard, you may also find improvements in fuel economy. Simply knowing that you have a DVR, you will change your driving style, reducing harsh acceleration and sharp breaking and therefore saving fuel. Built-in Wi-Fi enables users of the DVR-WF1 to view video footage & change settings by connecting to the dedicated App via their Smart Device (iOS & Android). 150° viewing angle, once mounted behind your rear-view mirror, DVR-WF1 will capture everything from your journey, and provide vital video evidence when required. DVR-WF1 automatically starts recording when you turn the ignition, no need to remember to switch on, or even think about it once installed. This is crucial, as the unit automatically switches on; it records every journey made, even a quick trip down the road, ensuring you’re fully covered in the event of an accident. A built-in G-Sensor and GPS antenna records speed, location and time and impact data. Once an incident is recorded, DVR-WF1 overlays the data onto Google Maps® for easy viewing and downloading, it’s like having your very own Black Box recorder.